It's been 7 days guys, so that means some hair is finally showing! Soon you will really start noticing your moustache, especially while eating. So here are a few tips from a YouTube hero to keep your mo' clean while eating. I've listed 3 videos by Andrew McGlennon that are somewhere between educational and just simply weird. Whatever you may think of them, they do provide you with some valuable information on how to eat with your moustache. Don't you just love eating bananas? Sure you do! So why would your mo' keep you from doing that? It shouldn't, right? Here are some tips from our hero on how to eat a banana with a moustache. This one gets trickier. How do you eat an egg with a moustache? Will our YouTube hero know how to do that? Let's find out! Still too easy. What about egg nog? Can our hero tackle that? This is still kind of basic stuff for the average MoBro. What if it gets really tricky, like eating soup for instance? Jeff's Beard Bord provides some interesting tips on eating soup with your moustache, but also a few other meals. Soup - Don’t overfill your spoon. Pour the soup into your mouth over your lower lip and/or insert the spoon carefully and completely into your mouth before closing your mouth and removing the soup. 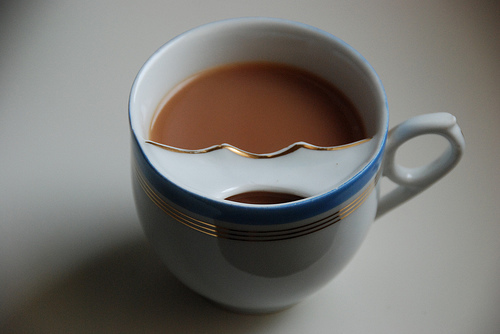 Alternatively, use a moustache cup or a straw (for smooth soups only, of course).